One thing I love about Pinterest is how easy it is to be inspired when you least expect it. I'm not very good at making holidays special, but I'm learning. And I'm finding ideas that help me along. 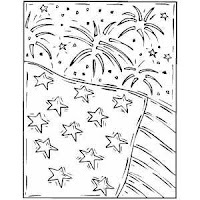 Here are some of my favorite pins for the Fourth of July this year. I never start decorating soon enough, so I don't know if I'll be able to make this by Thursday (especially as I don't have the supplies and spent my spending money already...), but maybe I'll make it next year! 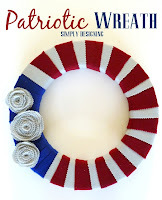 I never thought I was a wreath person, but I'm starting to think I like them. 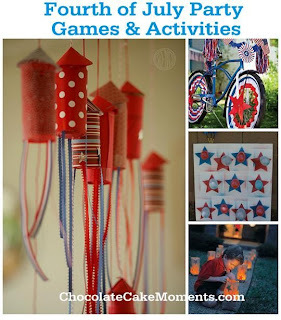 This is someone else's Fourth of July roundup, but some of these activities look really fun. Like the Flag Hunt, the Confetti Popper Rockets, and decorating your bikes. If I don't squeeze some of these in this year, I definitely want to be do them next year! I think 2Flowers will really like getting a special mani-pedi from (and with) Mommy. I just can't decide which ones I can a) actually do and b) manage on a wiggly nearly three year old. 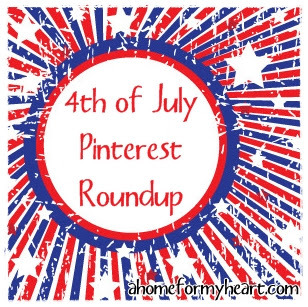 Note: It is hard to know how to do a Pinterest roundup right because of copyright issues. I've included links to either the Pin that inspired me or the original post that inspired the pin. If you want to share or repin these ideas, please click through to the links I included and share from there (i.e. don't pin from this page) so that the original author gets the credit and the traffic.